Hanging wreaths is considered to be a sign of welcome and it has become an important part of holiday traditions. Decorating with wreaths is popular during Christmas season. From a religious perspective wreaths represent unending circle of life. There are many varieties of artificial wreaths available for the holiday season but, going natural is always a pleasure for everyone. 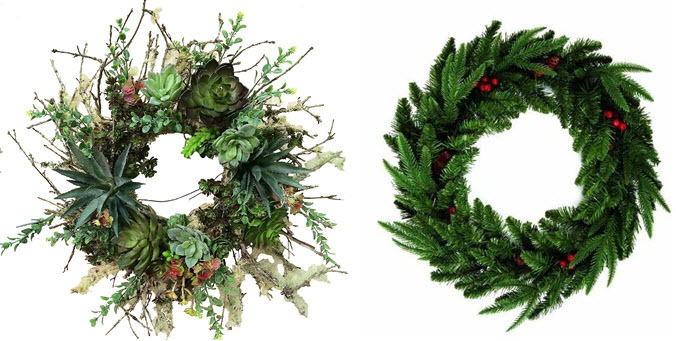 Check out these natural wreaths to adorn your home with everlasting beauty. Pure, whole organic wheat is not only used for its health benefits but also for its astonishing natural beauty. 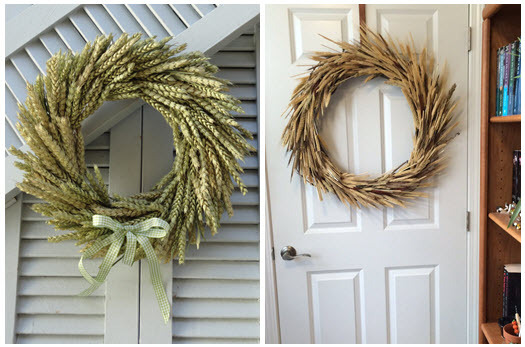 Wreaths made of wheat brings the beauty of harvest season to your front door. Give a warm welcome to everyone at your door step by hanging the natural original golden wheat wreath this Christmas. Greenery is the most wanted element and a welcoming concept for the festive season. Wreaths with herbs will be an amazing décor for your lovely kitchen. Decorate with the unique natural silk oak moss with succulents, meadow pine cone wreath and go green to enjoy with nature this Christmas. 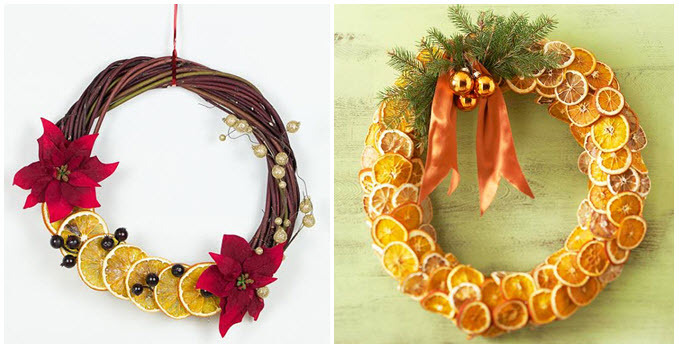 Fruit wreath jeweled with oranges is classy in its looks and spreads an awesome fragrance. Never miss the advent handmade rustic fruit wreath, the citrus fruit slices wreath to enjoy a delicious hanging decoration. 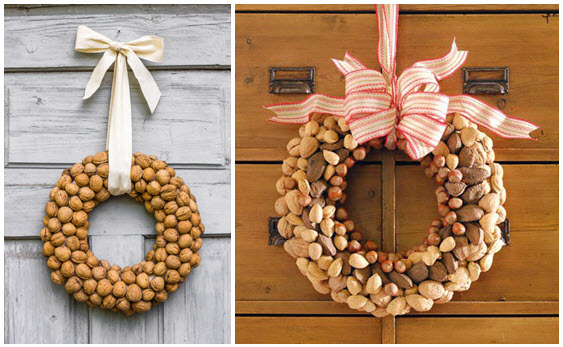 These wreaths make a great addition to your home décor no matter what season or time of the year. 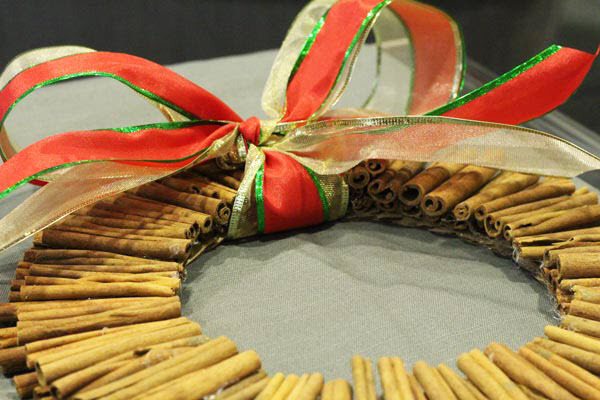 Fruit and nut wreath is a unique, long lasting décor and also a great holiday gift. Style up your walls with the holiday walnut wreath, fruit stone pyrene Christmas wreath and enjoy the most magical festive time of the year. The tightly crafted spicy bundle is a perfect natural decor for this Christmas season. The wreath can be made more elegant and appealing by tying bright bows and ribbons. This is the exact winter holiday wreath for your door or wall. 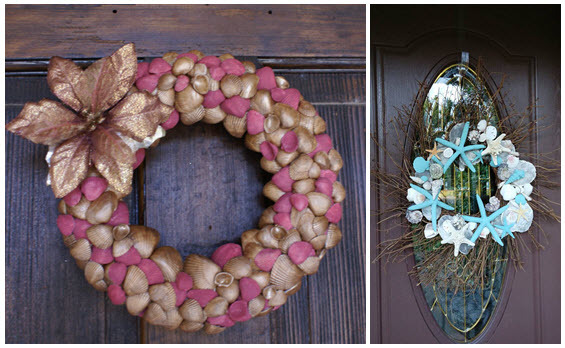 Shells and starfish looks great on wreaths. The unique design of the wreath gives an interesting look to your décor. The twig sea shell wreath, the pink and gold holiday wreath is the apt idea for an underwater themed décor that would bring home the beauty of deep sea. The love is always on for both fresh and dried flowers. No doubt everyone loves this natural beauty. The soft yellow dried floral wreath can be a year round decoration. Let the fresh flower wreath bring lots of color and fragrance this festive season. Christmas wreaths are special symbols of the season. Pack them with natures green gift from the secret garden and spread never ending love this Christmas. Invite the spirit of Christmas and bring home pure love to enjoy the festive season. 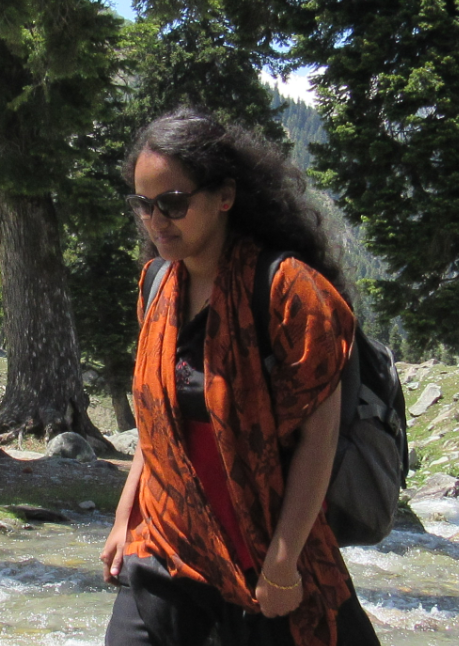 WISHES TO SPREAD PERFECT HOLIDAY SPIRIT….